In a Pickle or a Pickle in me? As you might already know I started a new job about a month ago, which has been great in all respects but my ability to find the time and energy to eat home-cooked food let alone cook and blog about it. In the past month I have endured goodbye drinks, farewell lunches, congratulatory dinners, and thank you appetizers followed by welcome lunches, client lunches, vendor coffee meet ups, company morale bagel breakfasts, royal wedding tea and scones, departmental lunches, Osama slaying snacks, board meeting bagels, executive team dinners and on and on and on. I have eaten more bagels, Cobb salads (no bacon, dressing on the side please) and salmon dinners then any one person should have to. If I never have a meal out for other people’s entertainment again, where I must use table manners btw, I will be ecstatic. However, the one delicacy I did discover at the Heartland Brewery happy hour was the fried pickle. It is the best worst thing for me that I ever ate. Now, I love put pickles in my mouth, and my favorite are those HUGE ones from the barrel. My husband does not really share my love for pickles. Sometimes he comes home and smell pickle on my breath, then I know I’m in trouble. “Really” he’ll say “how many pickles did you eat?” And me, like every good girl in the world divides by 2, subtracts 1 and gives him my answer with an innocent smile. He only needs to know about those big kosher dills not all those little gherkins, right? Anyway, take my favorite veggie in the world, dip it in batter and throw it in heart-attack-hot-oil-soup and I’m in veggie purgatory, yupp a little heaven and a little deep fried hell. I wrap my lips around this oxymoron and know I am doing something wrong but, hell I just don’t care. If I die tomorrow, I hope it’s cause I choked on a deep fried pickle. 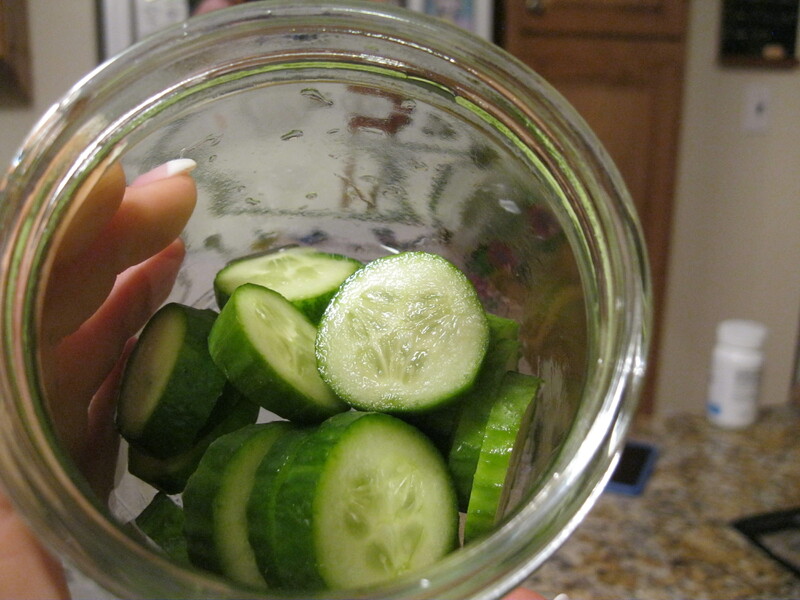 The happy part of this pickle hour got me thinking…. I wonder if I could make my own pickles? While daydreaming at my local grocer these green cuties caught my eye. I said hell, let’s go for it. With the help of my local produce guy I learned how to make refrigerator pickles with my own pickling spices. They cured in the fridge for about a week and a half and were not half bad when I took them out. Still, pickles in a barrel are better and deep fried ones are best but, I can truly attest that I’m a pickler now and don’t tell anyone but even my hubby put these pickles in his mouth, and I think he liked um’! 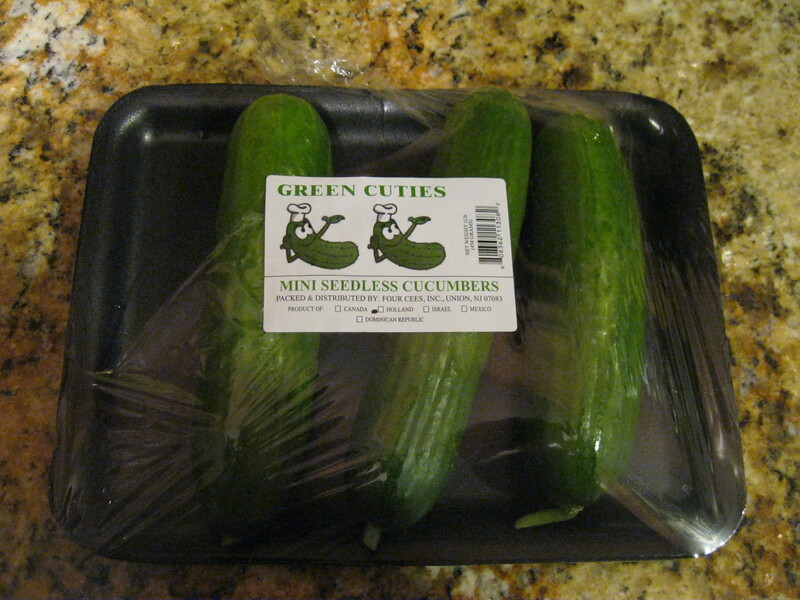 The Pickle – Check out the self-sufficient urbanite’s blog for the step by step! Or say the heck with this and use just dill, as I did for the second batch!! Hope you get a pickle in you this week!